Whether you think it’s worth consuming an extra 3% of GMO ingredients to gain these health benefits or not is up to you (also note that even organic products can often contain nearly 1% GMO contamination). 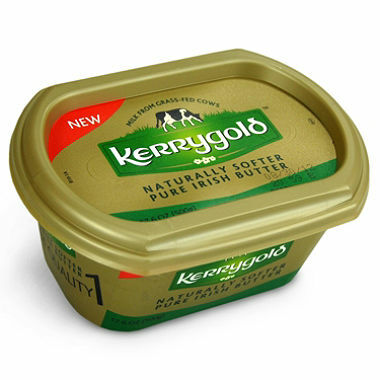 Some of the biggest consumers of Kerrygold butter are fans of the Bulletproof Radio podcast with host Dave Asprey, who has long recommended Kerrygold as his number one choice for healthy grass fed butter (other than local and raw which is hard for most people to find). Asprey, whose podcast has been ranked #1 in the United States at various times and whose ‘Bulletproof Diet’ book hit #1 on Amazon.com, actually launched a petition asking Kerrygold to go 100% “Bulletproof” by switching to 100% grass fed cows.